Mark Zuckerburg and company have been a bit ambiguous as to how exactly it will employ a new empathy button, a newly uncovered patent suggests it could be as simple as emojis. Filed on December 23, 2014, the Facebook patent illustrates a small selection of emojis sit alongside Facebook's iconic like button. From the patent illustration, it seems like emoting would open up more options for users to respond with a smiling, dour or other funny faces. Zuckerberg first announced on Tuesday that Facebook would integrate a way for users to express empathy. 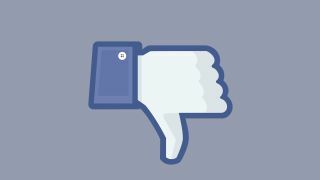 The Social Network founder explained a dislike button would be too simple and create a culture of up and down voting – not unlike Reddit. Although Facebook has already implemented an emoji-like with stickers, the system is a bit cumbersome with so many options and it requires users to post them in a message. If this patent proves to be more than a concept, a small subset of emoticons could be a faster way of capturing users' reactions to complex topics such as the republican debate or the refuge crisis in Syria. Facebook will begin public testing soon, so we could see a new set of emoji-like options appear next to the usual thumbs up button.